Stacey – Treatment Coordinator and Front Office Manager. You will see her welcoming smile, first thing when you come in to our office. 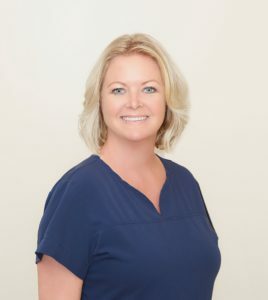 Stacey is an RDA with broad experience in different dental specialties like endodontics, orthodontics, pediatric dentistry as well as general dentistry. Stacey is California native. She has three children and four grandchildren! You can imagine how organized one needs to be to manage our busy Front Office and such a big familyJ. If you have any questions regarding your treatment, please do not hesitate to contact Stacey. With her competence, professionalism and dedication Stacey brings great value to our team and to our patients. When not working, Stacey loves being a mom and cooking. She is the board secretary for the Temecula Valley Hawks Soccer Club where her son plays and she spends a lot of time attending his soccer games. Tina – Patient Relation and Insurance Coordinator. Tina joined our team in 2017. She has been in the dental field for 12 years and is a Registered Dental Assistant. She has spent most of her career working as an orthodontic assistant. 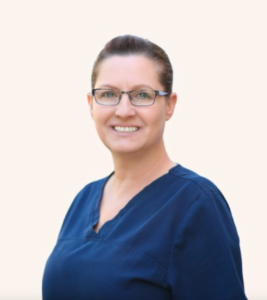 Our team benefits greatly from Tina’s expertise in Orthodontics. Tina has been married for 27 years and has four wonderful children and two granddaughters! In her spare time, she enjoys being with her family, running 5k’s, gardening, and taking long walks with her three miniature schnauzers- Behr E Hansum, Chaos, and Schatzi. Frances – Surgical Assistant. As an RDA, Frances has received additional training to assist in administration of I.V. sedation, reading EKG and emergency preparations (DAANCE Certification). Frances has joined our team right after we have opened our office in 2013. Frances has been in the dental field since high school. She is bilingual (English, Spanish) and enjoys working with patients. She will answer any questions regarding pre- or post-operative care you or your loved one may have. During the surgery she will alleviate any fear or concerns. With her reliability, attention to detail and dedication Frances is the right hand of the Doctor and a great team member. Frances has four kids. One of her daughters is a student at SDSU; the other daughter is studying fashion design, the youngest has become a pharmacist assistant. Her son is a hair stylist. Frances is a family person and enjoys baking. If you want to taste her signature cheese cake (yum! ), ask her. Helen – Surgical Assistant. Helen started working in the dental field right after high school. 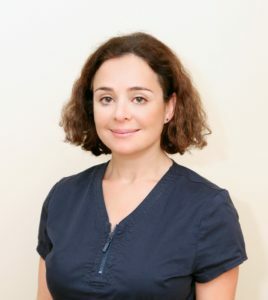 As an RDA she has broad experience in General Dentistry, Endododontics, Periodontal and Implant Dentistry. Helen is fluent in Armenian, Turkish, Farsi, Russian and French! 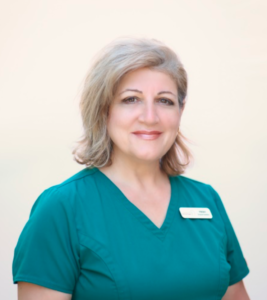 Prior joining our team, Helen was working for one periodontist in Glendale for almost twenty years. 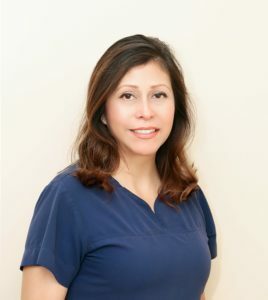 Her extensive experience in assisting for periodontal procedures is valuable asset for Oral Surgery. Helen enjoys building relationship with the patients and finds it very satisfying helping them improve their health. Helen grew up in Glendale, California. Her two beautiful daughters are working in a medical field too. In her spare time Helen loves reading, traveling, hiking, cooking, baking and spending time with her family and friends. She is the main contributor to our monthly team potlucks and makes sure we always have something tasty! Vanessa – Surgical Assistant. Vanessa is a recent graduate of Grossmont Health Occupation Center and the youngest member in our surgical team. As a Dental Assistant Vanessa is responsible to clean and sterilize surgical instruments, take x-rays and assist patients recovering after procedures under general anesthesia. 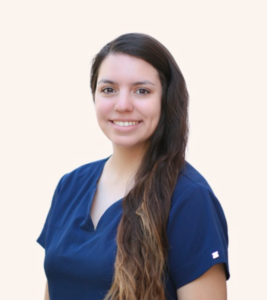 Vanessa enjoys caring for the patients and making sure they have pleasant experience in our clinic. One of Vanessa’s goals is to continue her education and pursue a career of a Dental Hygienist in the nearest future. We are proud of her aspirations and will certainly win from the new skills she will be gaining at school. When not at work, Vanessa loves spending time with family and traveling. Emma – Marketing Coordinator. Emma has a degree in Economics and MBA from the Steinbeis University in Germany. She has been working for the largest chemical corporations in the past both in US and Germany and brings in broad marketing experience into our practice. Her innovative ideas and unconventional approach to the business development contributes our practice growth. She is enjoying learning new business markets and transferring her knowledge into medical field. Keeping patients interest first, she constantly thinks what needs to be done to exceed patient’s expectations and provide them with best experience. She speaks Russian and German and you can occasionally hear her over the phone or see her helping out at the front office at the busy days. Emma has two young daughters and is very involved into various after school activities with them. She enjoys playing tennis, skiing and traveling with her family.